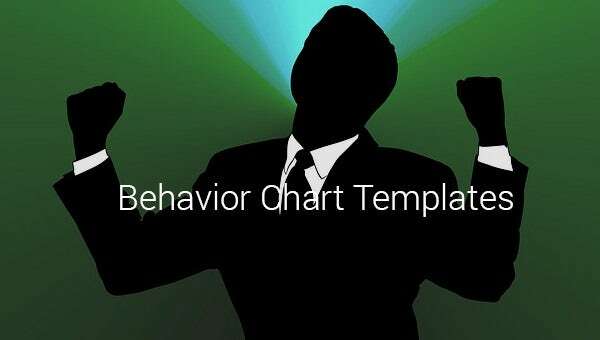 Behavior Chart Template – 12+ Free Sample, Example, Format Download! 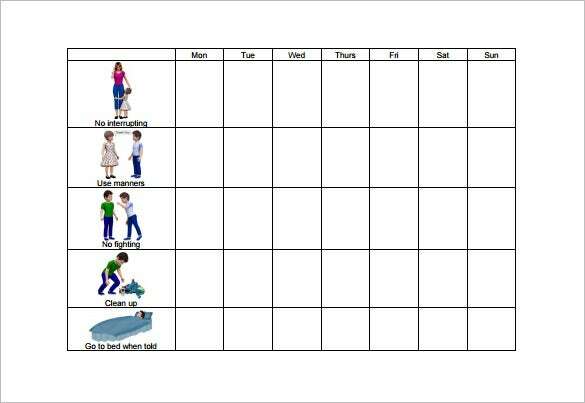 The ABC behaviour chart is a simple that is used to understand the different behaviour patterns. 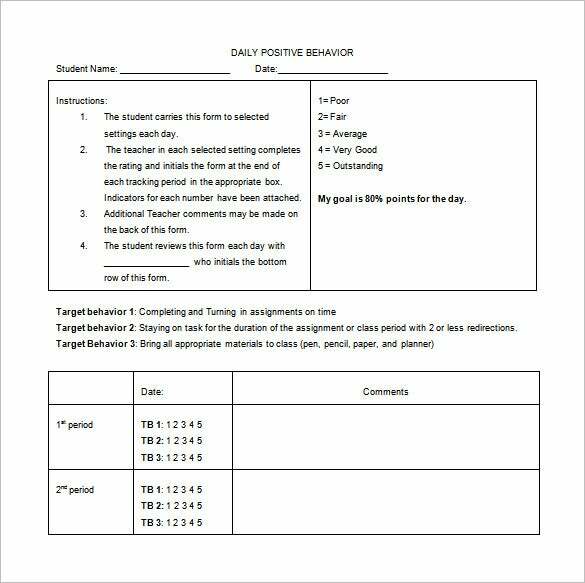 The column A wants to know the event that occurred before the behaviour. 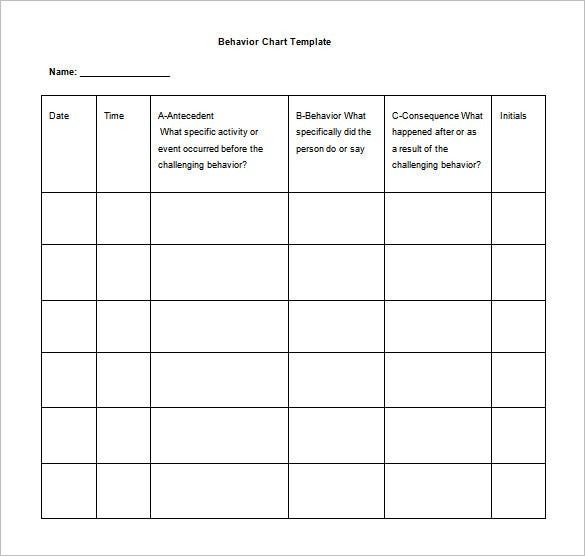 The column B wants to know the type of behaviour and column C explains the consequence. 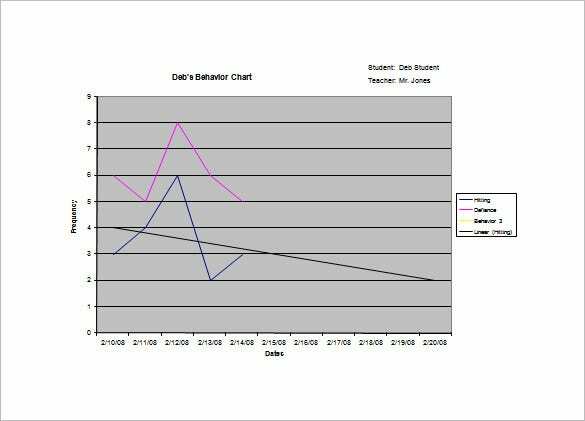 sjboces.org | The frequency behaviour chart is an excellent chart to keep track of certain behaviour. 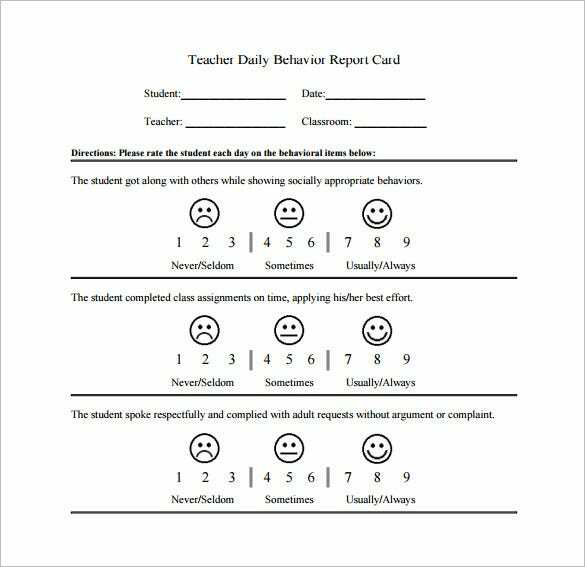 It helps to self-diagnose the problem so that the events causing this behavior can be controlled. 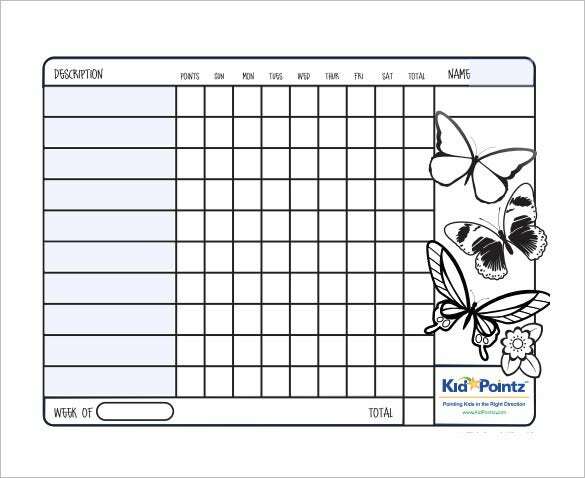 kidpointz.com | It’s a simple children’s behavior chart where you will note down the tasks (on the left) assigned to every child in the class and the right side is about points and at what days they did the task. 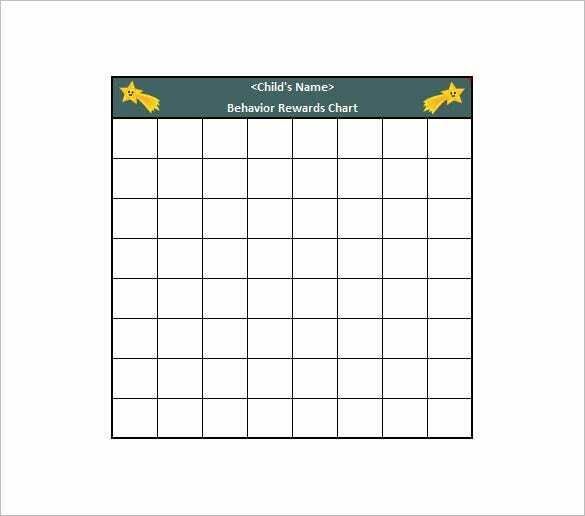 opportunityfoundationofamerica.org | The funny behaviour chart for kids is a chart used to track the behaviour of children. 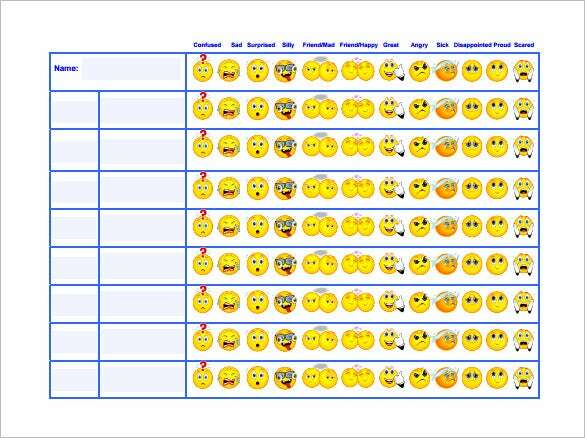 Using emojis in the chart makes it more interesting and it does its work by tracking behaviour.